If you’re a Safari user, you probably like the built in ad-stripping, easy-reading feature, Safari Reader. If you’re not, and you’re using Firefox or Chrome (I’ll happily side-step IE on this one), then you may be either jealous of the Safari functionality, or using an extension or bookmarklet like Readability (check out our post on the Readability+Evernote combo-bookmarklet). While Readability is great, Safari Reader is a step up — and the iReader extension for Google Chrome and Firefox is even better. Last week, Google officially opened the doors of Google Chrome Extensions, the extensions site for the Google Chrome browser. This puts Google Chrome one step closer to being a serious competitor for Firefox 3.5, especially considering the super-fast loading speeds of the Google browser. 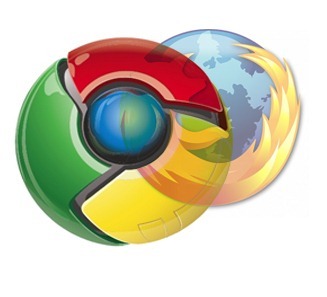 Google Chrome Extensions launched with over 300 active add-ons, with more being released daily, and features an auto-update (in the background) functionality to avoid the constant requests to update extensions that many find annoying in Firefox. Extensions are currently only available for the latest Beta version of Chrome, which can be found here, as well as for developer versions, and have seen some success on Mac and Linux platforms as well as Windows. After a few late nights of obsessively searching the Chrome Extensions site and testing everything that caught my eye, I have compiled a list of add-ons that may sway you to (or sway you back to, as in my case) install Google Chrome as your primary browser.